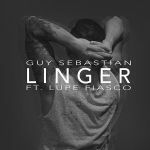 This would probably be Guy Sebastian's best track since his 'Armageddon' days. Too high pitched for me. Decent. Has a kind of Songs About Jane album track sound to it. This doesn't excite me in any way. Just a bit too plain and the autotune puts me off. A strange listen, and an even stranger single choice. It's nice but not very memorable I guess. I was very pleased when I heard this for the first time after it had been chosen as the fourth single from the album, I knew it had potential. It really grew on me and it's easily his best single since "Battle Scars". I like that unlike the previous three singles it doesn't sound that bandwagony at all and also is something that doesn't sound much like anything Guy has done previously. I love the chill vibes it gives me with the beats and the other elements of the production. Lupe Fiasco is a good inclusion too and fits well with the beats. Sounds peaceful and is a really enjoyable listen. The best from "Madness" and one of my favourite chart hits of 2015 so far. May not be up there with his best but it's still a good return to form.